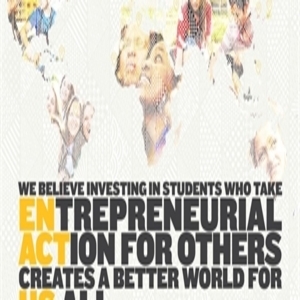 Enactus UK are a globally recognised organisation made up of business leaders and students that are driven to make a positive impact in the community through entrepreneurial action. We achieve this by training our members from project management to business etiquette through workshops across the UK to enable them to successfully set up and implement projects that really make a difference. In 2016 we reached Semi-Finals in our first year of competing at London National Competitions, however, this year we made it through to the national round of the annual competition, where we competed for the title of Enactus UK National Champion, after being successful in regional heats. We recently won the Teesside Students’ Union Best Society of the Year and Best Society for Employability awards. We have a series of projects running locally and internationally which aim to empower individuals through business, enterprise, employability skills and much more! However we are constantly expanding, changing and being innovative so if our projects don't meet your interests we will happily work alongside you to make your dream community projects or enterprises become a reality. But not only this, Enactus Teesside is a great place to make friends locally, expand your social network, across the country and attend events and trainings like no other as part of the Enactus UK network! This is an opportunity not be missed, to get the most out of your time at university, not only for your progression in the working world afterwards but to really enjoy yourselves whilst doing it! Our meetings are held every Wednesday at 4pm in the Victoria Building (subject to change). Please email enactusteespresident@gmail.com for more information about the events we have running currently! Be your own HERO, by empowering others! At Enactus Teesside we endeavour to not only help those in our local area by using creativity and initiative but to promote the personal growth of our team through friendships and training.